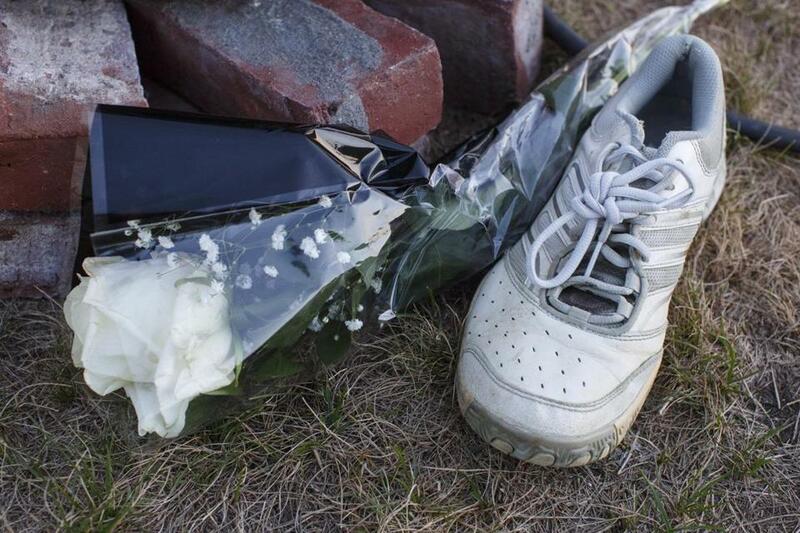 A running shoe and a flower were left last week at a church in Princeton as a memorial for Vanessa Marcotte. 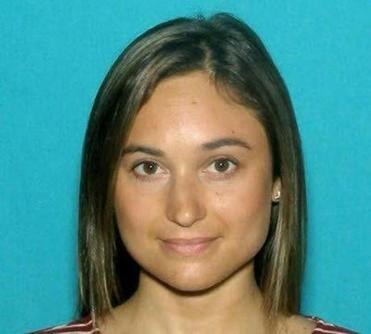 Vanessa Marcotte’s body was found last week after she failed to return from a run. PRINCETON — Megan Weeks hadn’t put on her running shoes since 27-year-old Vanessa Marcotte was killed while jogging there last week. Like many others in the quiet community, she’s had her feeling of security shattered by the shocking crime. But on Sunday, Weeks laced up her sneakers again to join more than 100 others for a 3-mile run to honor Marcotte and her family. Participants said they were there to send a message: Runners should not have to feel afraid while exploring the town’s roads and trails. Authorities say Marcotte was killed Aug. 7 between 1 p.m., when she left her mother’s house for a run, and 3 p.m. She was a Leominster native and had been working for Google in New York City. Weeks said she and her husband moved to the town because of the quiet and security of the close-knit community. She said that since Marcotte’s death, it’s as if the town has lost its innocence. She hopes Sunday’s run will help the healing process. Police asked the public to report anything they saw on Brooks Station Road on Sunday, including moving or parked or vehicles. Groups of runners began gathering at the town common just before 6 p.m., holding balloons of different colors and shapes. The event, called Strength in Solidarity, was planned hastily as a response to the crippling fear that the tragedy has placed on runners — especially women. 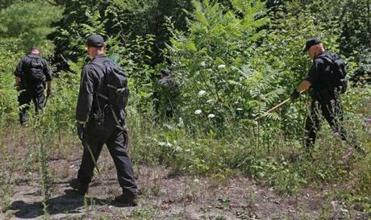 Marcotte’s killing remains unsolved. “We want the community to feel strong again, and to feel a sense of hope and sense of light,” said event organizer Kate Narita, who like other planners did not know Marcotte personally. Originally, organizers expected only a few dozen people to attend, but the response exceeded expectations after founders joined forces with running groups like the Central Mass. Striders and word began to spread. The jog started and ended at the common, the central gathering place for a town that has been rocked by the death. The Striders provided free water for the runners, said Sean Doyle, another organizer. “This is not just affecting people in our town, this is affecting people in neighboring towns, too,” Narita said. Runners tied their balloons to the town’s gazebo, adding to a group of red heart-shaped balloons that had been there since at least Wednesday, Weeks said, surviving the recent storms. The offerings were intended to send love and support to Marcotte’s family. Down the street from the run, congregants gathered at Heritage Bible Chapel, where they shared many of the same sentiments. Pastor Kevin Wright led the service, asking attendees to pray for Marcotte’s family, the police, the community, and whoever is responsible for the killing. “Pray that justice be served fairly and quickly,” Wright said, reminding the congregation to love their enemies, even in times of crime or tragedy. Authorities have not publicly identified a suspect or possible motive in Marcotte’s death, but State Police said they have received hundreds of tips. Investigators believe the Boston University graduate struggled with her attacker, and they are looking for males who appeared with injuries like scratches or bruises over the past week, according to David Procopio, a State Police spokesman. Police are also looking for information about any vehicles seen on Brooks Station Road in Princeton between 1 and 3 p.m. on Aug. 7. Anyone with information can call 508-453-7589. Sunday’s run was not without fear. Many runners said that like Weeks, they haven’t gone running since Marcotte was killed. Others said they’ve tried to keep up with their normal routines, but they think twice about their decisions to spend time outside. Susan Bernhardt, 65, came from Leominster to join in the run. She said she bought pepper spray this week in an effort to stay safe on her runs and has reconsidered running alone. Tim Barwise, 29, attended the run on Sunday with his wife, Addison, 30. They bought a home in Princeton in April. They said Marcotte’s killing has taken some of the joy out of the “liberation” that comes with living in the countryside. Felicia Gans can be reached at felicia.gans@globe.com. Follow her on Twitter @FeliciaGans. Astead W. Herndon can be reached atastead.herndon@globe.com. Follow him on Twitter @AsteadWH.